The exhibition “Reaper. Richard Hamilton and Sigfried Giedion” brings together two different figures in the history of twentieth century art and architecture. English artist Richard Hamilton is represented by his early series of “Reaper works” (1949), inspired by Sigfried Giedion’s publication “Mechanization Takes Command” (1948) in which the Swiss art historian describes the advancing mechanisation of everyday life. 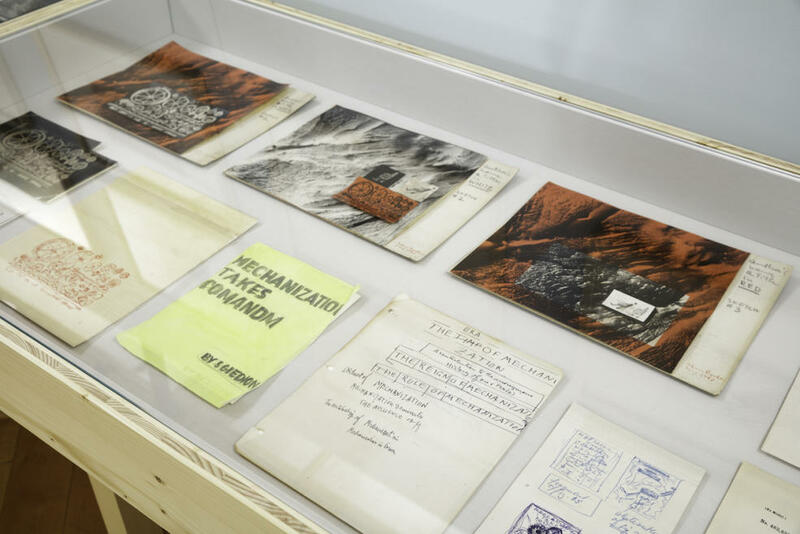 The exhibition at the Graphische Sammlung ETH Zurich is the first to juxtapose the entire “Reaper” cycle with selected visual works from Giedion, clearly addressing the process of academic research behind Hamilton’s creative approach. From today’s vantage point, the influential book “Mechanization Takes Command” by art historian Sigfried Giedion (1888–1968) is striking for its unconventional structure and meticulous illustration. 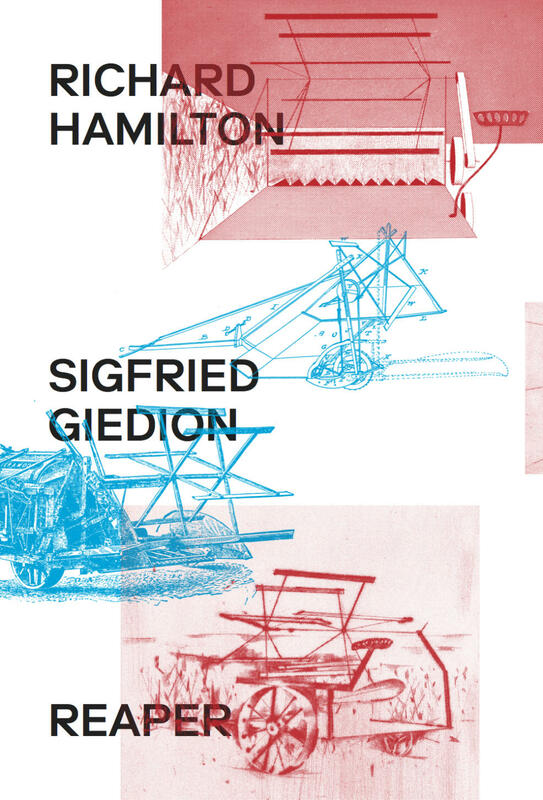 What was noted (and occasionally criticised) at the time was that Giedion’s publication, charting the history of mechanisation and its effect on everyday life, did not follow a clearly recognisable system. 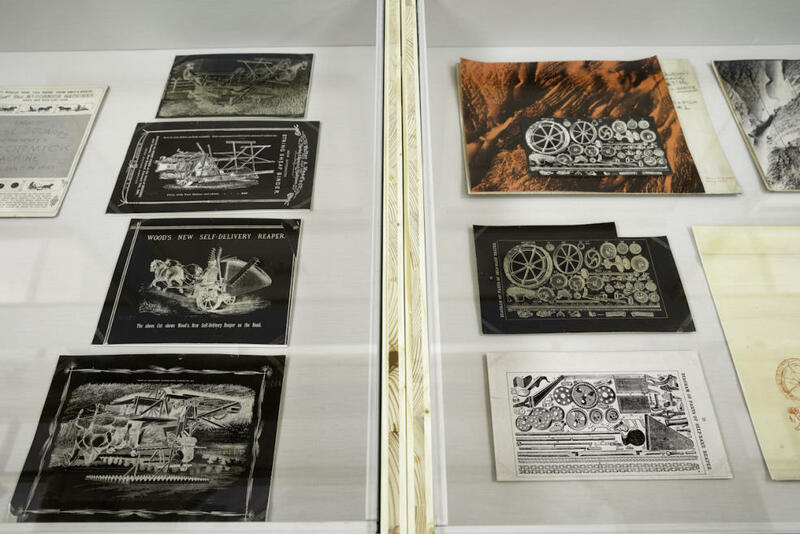 Accordingly, a variety of themes interweave and clash, and even the sources of the illustrations themselves are highly diverse: inventors‘ patents are juxtaposed with artworks, and sketches of new machines are displayed alongside photographs of buildings. This collage-like approach, however, has method. 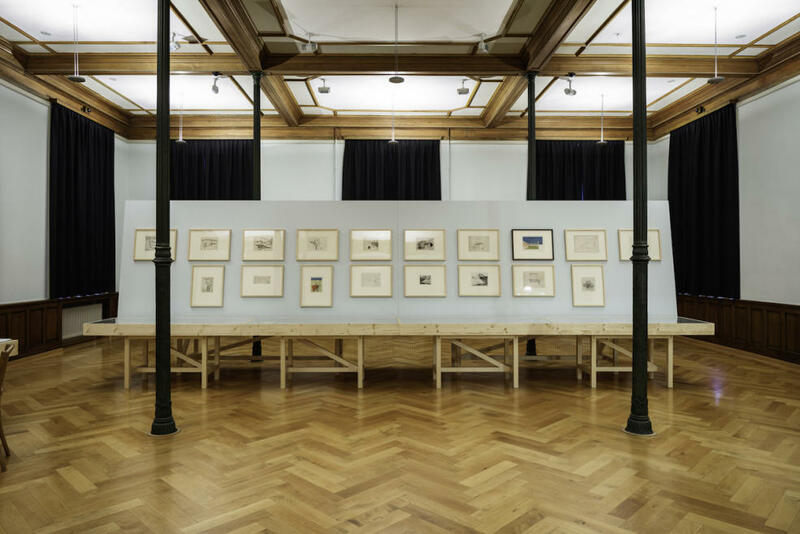 Giedion chose and positioned his illustrations so carefully that we can now speak of specific visual strategies forming the groundwork for this exhibition at the Graphische Sammlung ETH Zurich. 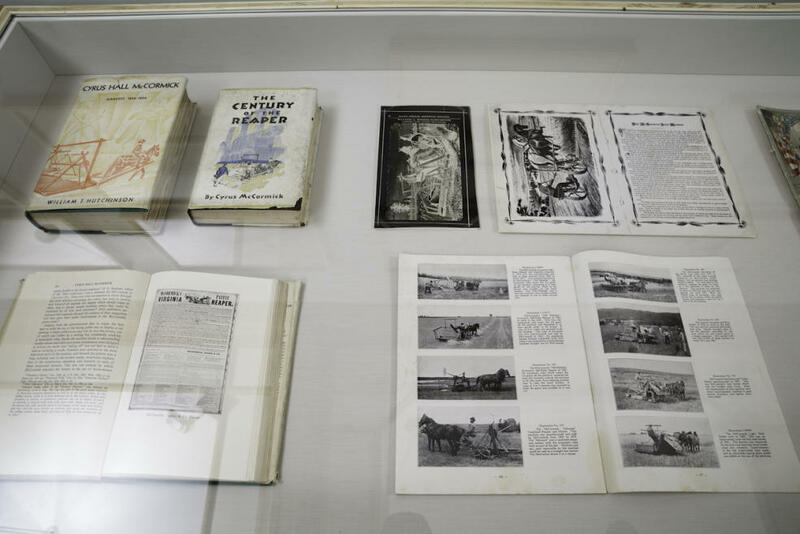 It was these images and the way they were collated that inspired Richard Hamilton (1922– 2011) to create a cycle of prints in 1949. At the time, he was a student at the Slade School of Art in London and had already experimented with the technique of etching. What fascinated him about Giedion was, in particular, the chapter about reapers. This interest was probably also fuelled by the fact that Hamilton had worked as a technical draughtsman during the second world war and was therefore familiar with such material. However, the illustrations in Giedion’s book were merely the starting point for his own free artistic interpretation, in which he experimented with a variety of print techniques. An exact portrayal or illustration was not his aim. Instead, his “Variations” – as he called the series when it was first shown at Gimpel Fils in London in 1950 – oscillated between recognisable elements such as wheels and seats, and abstract forms. Hamilton’s “Reaper” series, which marks the beginning of his lifelong interest in print techniques, can now be seen for the very first time alongside the illustrations from Giedion’s “Mechanization Takes Command”. What is particularly interesting about this juxtaposition is the way it opens up a window on the process of Giedion’s academic research as compared to Hamilton’s creative approach. 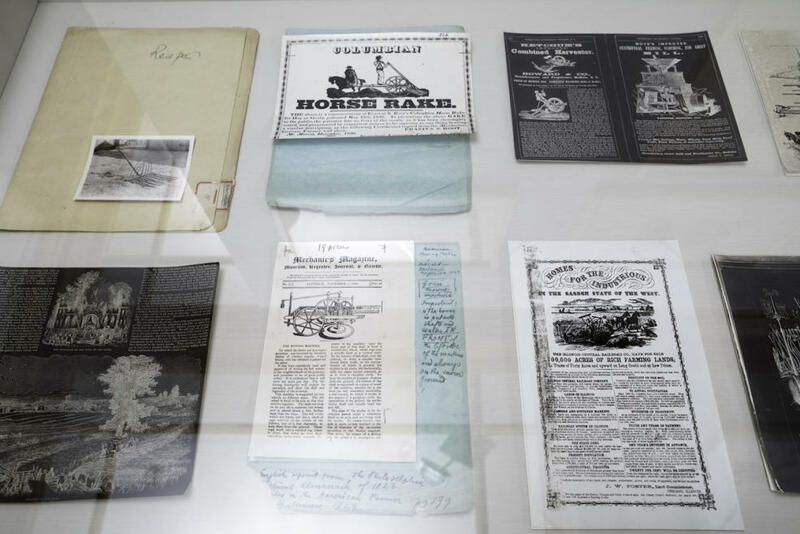 The wide-ranging archives of the gta (Institute for the History and Theory of Architecture), who are the keepers of Giedion’s estate, have provided a wealth of background material. 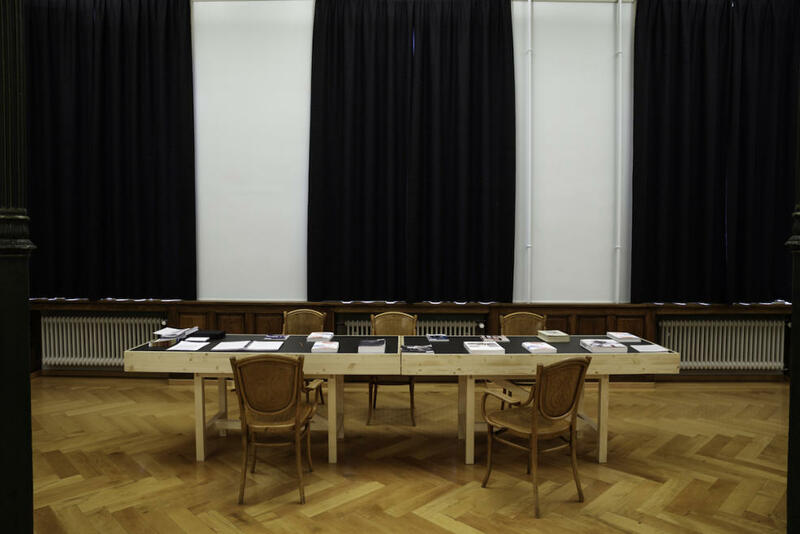 The exhibition is accompanied by a publication that includes essays by Esther Choi, Kevin Lotery, Spyros Papapetros, Fanny Singer, Hadas Steiner and Filine Wagner, outlining the various aspects of this creative duality. Carson Chan has provided this anthology and contributed an introduction. 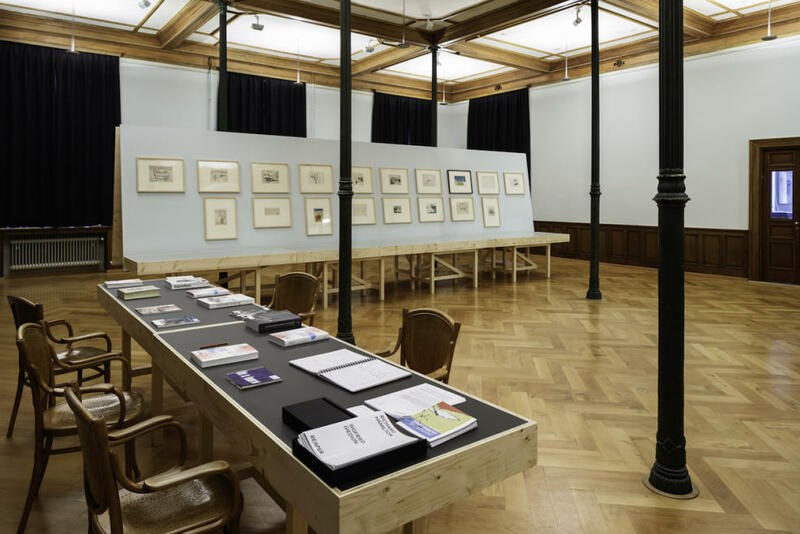 This exhibition straddling the boundary of art and architecture has also prompted a recalibration of the exhibition layout at Graphische Sammlung ETH Zurich. New walls and showcases were specially commissioned for the “Reaper” exhibition, with renowned architect and ETH Professor Adam Caruso responsible for the design. 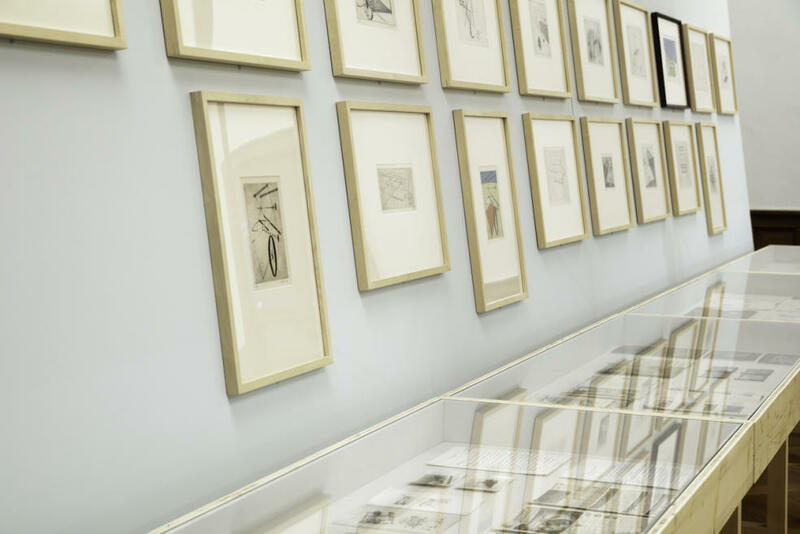 The double jubilee of the 150th anniversary of the Collection of Prints and Drawings and the 50th anniversary of the Institute for History and Theory of Architecture (gta) at ETH Zurich is marked by this collaboration with the gta exhibition team and archives. Curators Linda Schädler, Head of the Graphische Sammlung ETH Zurich, Fredi Fischli and Niels Olsen, Head of gta exhibitions, Filine Wagner of the gta archives and Carson Chan, of Princeton, have all worked closely together in contributing to both the exhibition and the catalogue. Supported by the Sigfried Giedion Foundation, the Stanley Thomas Johnson Foundation and the Dr. Georg and Josi Guggenheim Foundation.